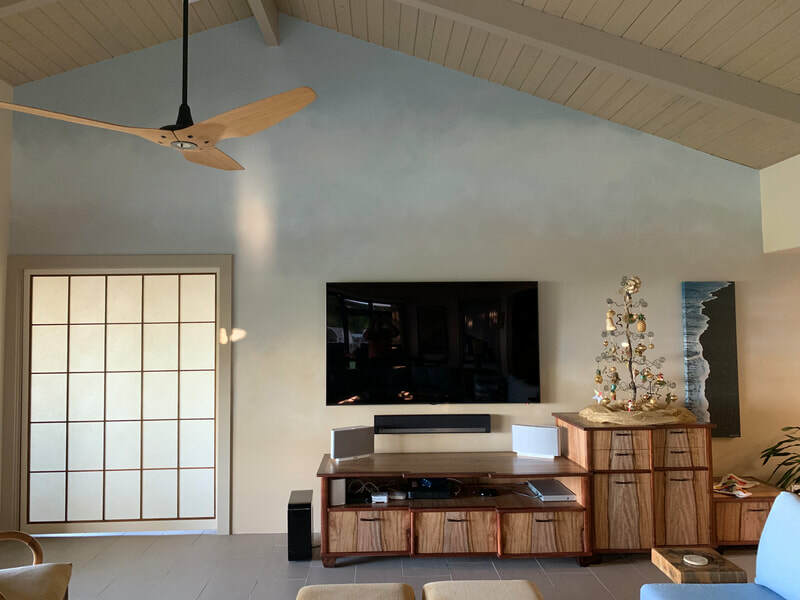 Elegant Marmarino Plaster with mica chips of crystal, natural shell, and mother of pearl. 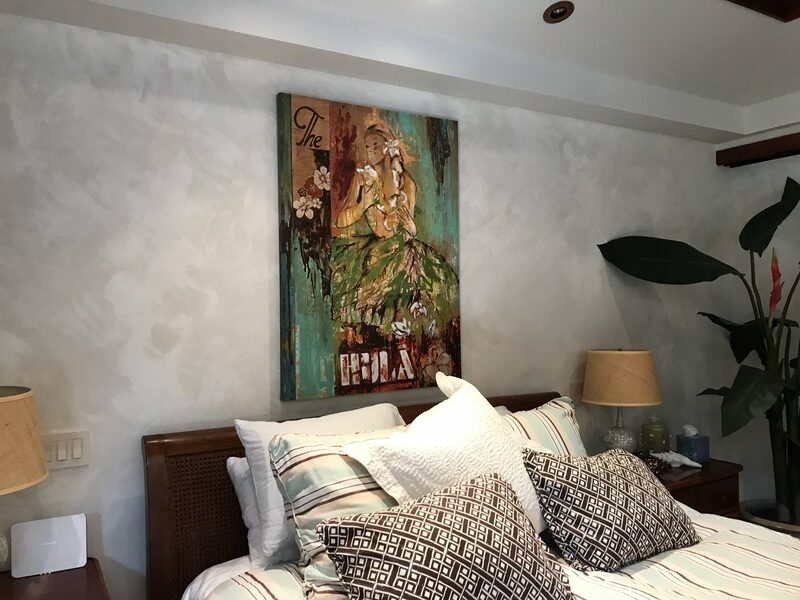 Whether you are looking for the perfect colors to put your soul at ease, or the proper wall treatment to add whimsy to your home, the team at Thompson Art Studios, Inc. provide the knowledge and guidance for you to make the right selections. 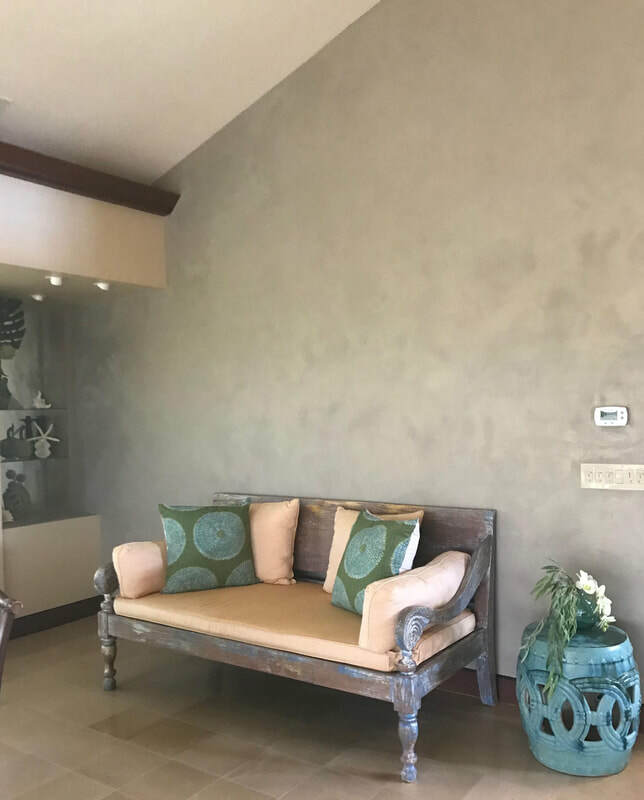 Plaster wall treatments such as Venetian Plaster or Marmarino Plaster achieve a spectrum of sophisticated and luxurious looks. 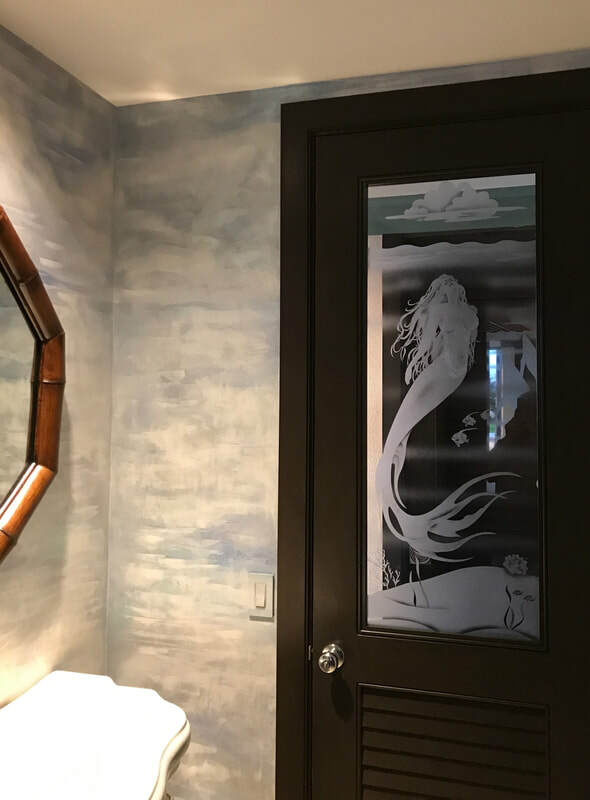 Mica chips and mother of pearl fragments can be added to these treatments to provide an extra layer of depth and beauty. 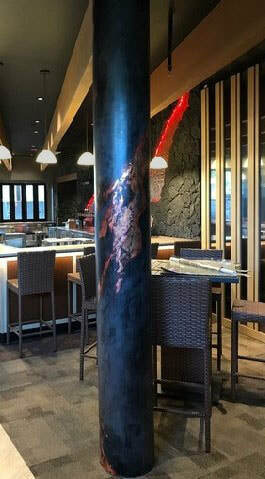 Plaster can be used to create stunning patterns in the wall’s surface or as an abstract representation of the environment, such as the treatment used to simulate the look of flowing lava at the new Waikoloa Luxury Cinemas on the Big Island of Hawaii.